This show was inspired by grand rounds lecture by Dr. Dana Edelson, MD. She currently serves as a hospitalist and the Executive Medical Director for Inpatient Quality and Safety. She is an internationally recognized expert in the treatment and prevention of in-hospital cardiac arrest, with a focus in harnessing big data analytics and new technology to identify subtle changes in clinical stability. Dr. Edelson was recently recognized as one of the top 110 Women in Medtech to Know by Becker's Hospital Review. Her research in cardiac arrest, clinical deterioration and sepsis has been published in high profile journals such as JAMA, Circulation, and the American Journal of Respiratory and Critical Medicine and has been cited over 5000 times. She is the immediate past Chair of the American Heart Association's Emergency Cardiovascular Care Systems of Care Subcommittee and a member of the Centers for Disease Control Ward Sepsis Working Group and has served on the Editorial Boards of Resuscitation and the Journal of Hospital Medicine. A list of her peer-reviewed publications can be found here. As human beings, we have a natural incline to normalize the abnormal. 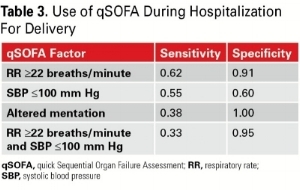 Someone’s heart rate is up; we assume they’re anxious, they’re in pain, they’re febrile… as opposed to they’re septic. It’s one of the reasons we see adverse events. 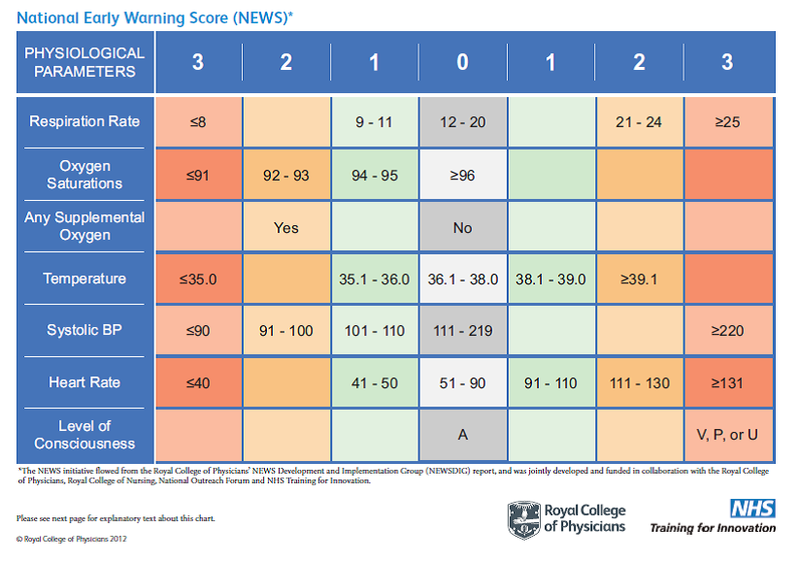 If I I pick at random two patients from the population, one who is septic and one who isn’t, an AUC of 0.9 (90%) means that 90% of the time the patient who is septic will have a score higher than a patient who isn’t septic. AUC of 0.5 (50%) is equivalent to a coin flip. A perfect predictor is a 1.0 (100%). In short, SIRS is the worst, but most widely used; qSOFA is better, comporable to MEWS, which is about the same but maybe a little bit better; and NEWS was the best. But bottom line: It probably doesn't matter which one you choose. Choose one, know it's trade-offs and limitations, and do it well. We need to be using our data. What are the problems we want to solve and what intervention are we going to do? eCART is the primary analytic using 33 variables which detects probability of deterioration in the next 8 hours. Looking at sick or not sick first; then if patient is sick you worry about further work-up and sepsis. First step to becoming an entrepreneur in medicine? Recognize that you are probably risk-averse; then realize that you need to be ok with taking risks - and then be willing to fail. Do you want to be innovative? Or do you want to be reliable?